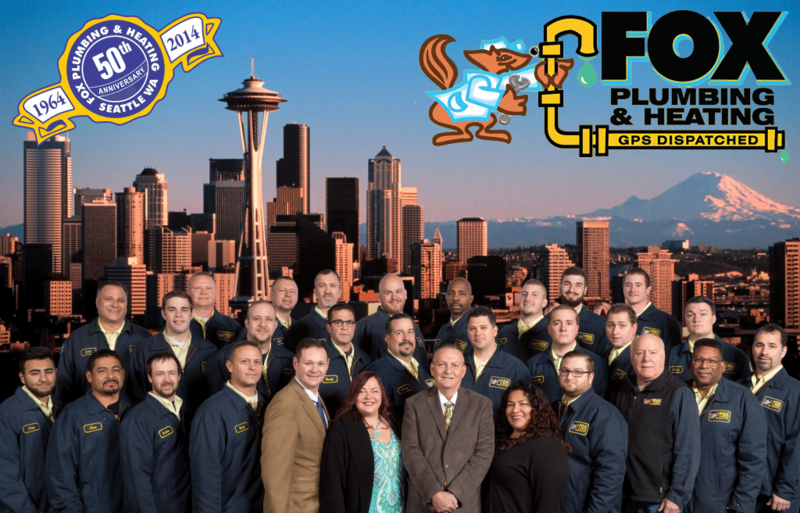 Happy Thanksgiving from all of us at Fox Plumbing & Heating. It’s that time of the year again, when family gathers around the table for food, football and fun. But it’s also that time of the year when your home is put under considerable strain from visitors, cooking, and trying to make everyone comfortable. Here at Fox, we know that Thanksgiving until Christmas can be a stressful time for you and your family. Nothing is worse than stepping into a cold shower and realizing that your hot water tank has either broken down or is not big enough for all the people staying at your home. Or coming home to find that you have no heat, and that the weather report is calling for snow. 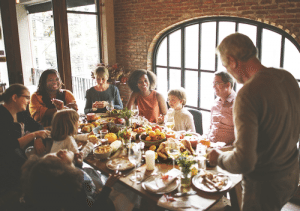 With all the things that you can’t control at Thanksgiving, here are 10 things that you can control to ensure that don’t have a post dinner disaster this holiday season. Coffee Grounds: Some people seem confident that coffee grounds down the drain won’t create an issue for your plumbing. The professional plumbers at Fox Plumbing & Heating would disagree, because coffee grounds and grease are what cause most residential blockages. Also, why put coffee grounds down the drain when you can check out this blog about 20 ways to reuse coffee grounds and tea leaves. Cooking Oils: This includes all forms of cooking oils, olive, grapeseed, coconut, salad dressing and even mayonnaise. Oils are a part of the trifecta: grease, oils and fats that cause many drain and sewer clogs in your home. Fats: Meat trimmings, ice cream, milk, butter, dairy products, almond butter, lard, poultry skin and butter. *Remember that with grease, fats and oils are great at creating blockages for household pipes during Thanksgiving and other times during the year. These items cause something called fatbergs that cause sewer blockage. GROSS! According to reports, 47% of annual overflows are caused by these fatbergs – it’s kind of like an iceberg but made out of fat. Eggshells: Even with a garbage disposal, eggshells create granular waste that will get caught up with other waste in your drain to cause clogs. Produce and Vegetable Stickers: You know those tiny little stickers that you get on fruits and vegetables stating how great your food is for the environment? Well those cause problems when you wash them down the drain when you’re scrubbing your fruit and vegetables in the sink. These stickers get stuck at the waste treatment plant pumps, hoses, filters and screens (see image below). If your sticker makes it through all of this then it will end up in the water supply or in the Puget Sound. Paper Towels: While paper towels are considered to be biodegradable, they are bunches of absorbent paper, which makes them great at clogging pipes as they expand. And that doesn’t even begin to deal with how bad disinfecting/baby wipes are for your sewer and plumbing. Below is a video that details the problems with these types of wipes. Rice: Weather your Thanksgiving dinner calls for Turkey and gravy with rice or potatoes, both can cause problems when you decide to put them down the garbage disposal. Even rice can continue to expand when you put them down then drain. And the sticky nature of rice or pasta will stick in your drains gunk-up your blades on your garbage disposal and cause it to stop working. Potato Peels: I’m a huge fan of mashed potatoes with turkey and gravy at Thanksgiving. But I’m not a huge fan of the potato skin, which is a huge problem with garbage disposals. Potatoes, like pasta and rice, is a starch. As starch breaks down it turns into a gummy glue like substance. That glue can get caught in the moving parts of your garbage disposal and cause it to completely fail. When you’re peeling potatoes you might want to peel your potatoes with your strainer placed in the sink to catch the peals. Banana Peels: I don’t know about you, but it’s just not Thanksgiving without banana pudding, and that means that you need fresh bananas for this recipe. The fibrous materials around banana peels, onion skins, artichokes and corn husks can do a number on your garbage disposal. Because of the density and string-like nature of these items, your garbage disposal has trouble handling these items and can cause your disposal to jam. And since they don’t break down easily they can easily block your drain or become lodged in your pipes.